The ever popular Music Man will be presented on January 22 in Pittsfield. The Music Man, one of the world’s best loved musicals, and winner of 6 Tony awards including Best Musical, is bringing its small town charm and famous songs to the Colonial for two performances only on January 22 at 3pm and 8pm. The Pittsfield High School Marching Band and the Taconic High School Marching Band will join the cast of The Music Man during a scene that includes the iconic song “76 Trombones.” Fifty members of the PHS band will perform as part of the 3pm performance and twenty members of the THS band will perform as part of the 8pm performance. A local barbershop quartet will perform in the Colonial lobby ½ hour prior to each performance. Tickets are $65 and $45 with a limited amount of $35 tickets for family members of students performing in the show. Student tickets are $20 and will be limited to gallery seating. Tickets for the seventy student performers will be complimentary. 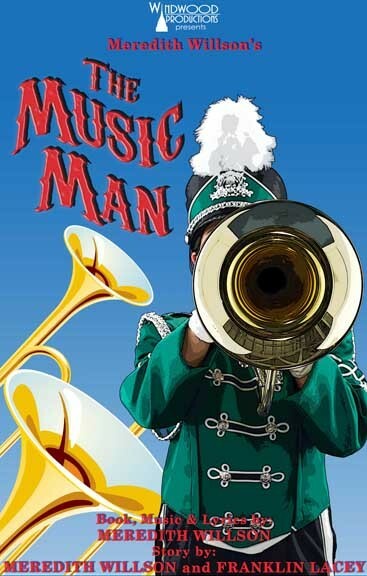 An affectionate paean to Smalltown, USA of a bygone era, The Music Man follows fast-talking traveling salesman Harold Hill as he cons the people of River City, Iowa into buying musical instruments and uniforms for a boy’s band he vows to organize—despite the fact he doesn’t know a trombone from a treble clef! His plans to skip town with the cash are foiled when he falls for Marian, the town librarian, with chaos ensuing as the townsfolk get wind of his scheme. 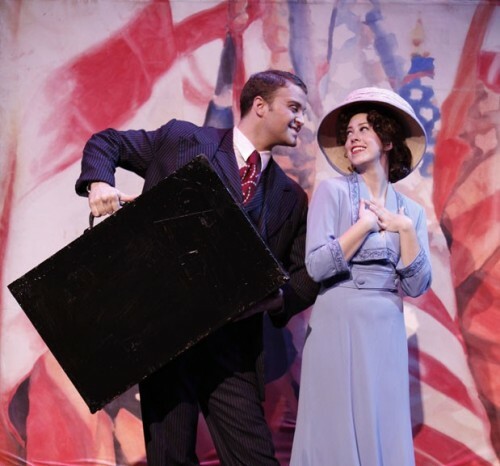 Filled with classical musical fun, tender romance and favorites including “Ya Got Trouble,” “Seventy-Six Trombones,” “Goodnight My Someone,” “ Gary , Indiana ” and “Till There Was You,” The Music Man is the perfect All-American Musical! After years of development, a change of producers, almost forty songs (twenty-two were cut), and more than forty drafts, the original Broadway production, directed by Morton DaCosta and choreographed by Onna White, opened on December 19, 1957 at the Majestic Theatre. It won five Tony awards, including Best Musical, even beating out West Side Story. It remained at the Majestic for nearly three years before transferring to The Broadway Theatre to complete its 1,375-performance run. The original cast included Robert Preston (who went on to reprise his role in the 1962 screen adaptation) as Harold Hill, Barbara Cook as Marian, and Eddie Hodges as Winthrop, with Pert Kelton, David Burns and Iggie Wolfington in supporting roles. Eddie Albert and Bert Parks each replaced Preston later in the run. The original cast recording was released by Capitol Records on January 20, 1958 in stereophonic & monaural versions and held the #1 spot on the Billboard charts for twelve weeks, remaining on the charts for a total of 245 weeks. The cast album was awarded "Best Original Cast Album" at the first Grammy Awards ceremony in 1958 and was inducted in 1998 as a Grammy Hall of Fame Award winner. Produced by WINDWOOD PRODUCTIONS; credits include national tours of Cabaret, Bye Bye Birdie, Altar Boyz, Little Women, Urban Cowboy The Musical, Gentlemen Prefer Blondes, Seven Brides for Seven Brothers, The Unsinkable Molly Brown, Barry Manilow’s Copacabana, Big River: The Adventures of Huckleberry Finn and The Complete Works of William Shakespeare (Abridged).